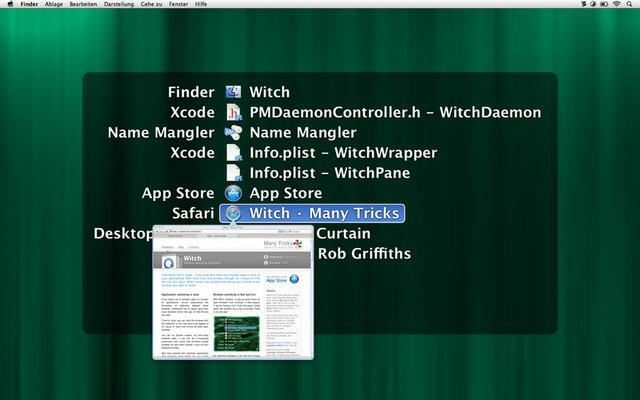 Witch optionally works across Spaces, too, allowing you to easily switch to windows in any other Space. The first time you quit Witch, a dialog will appear asking if you'd like Witch to run in the background. Say yes, and you can then switch away without seeing Witch in the Dock. You can access the settings panel at any time by either double-clicking the application, or by pressing comma while the Witch panel is onscreen.